I'm turning 20 soon and have just finished second year of Biochemistry and I'm feeling pretty floopy. I have three weeks until I start lab work for my 3rd year project in France which is scary. I'll be spending a week at my parents' before which I can't wait for! Muchos excited to see them soon! Also excited to go home because they have a bath....which I didn't have in my student house this year (and again next year) so I want to make the most of it while I'm staying there. 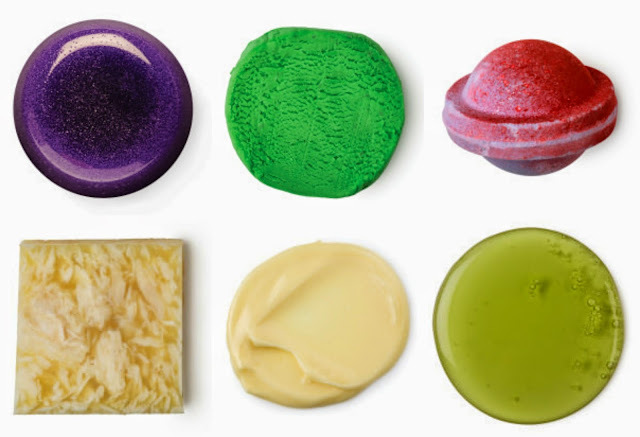 So at some point I'm going to go to my local Lush and pick up a few of these things as a birthday present to me! I always buy my sister and friends gifts from Lush for their birthdays so I'm doing the same for me haha. I actually bought the shower jelly for a friend's birthday this year, and I bought her Fun for her birthday last year! I think they're both awesome and a bit novelty so I wanna try them! I bought my dad the Grass shower gel as part of his Christmas present this year (which I don't think he's even used once so maybe I can just borrow some...) and it smells like actual fresh grass! I've also bought my sister the bohemian soap as a present once, she's got lots of Lush stuff off me! I bought her a scrub and have bought her gift sets before too. The bohemian soap has the nicest lemongrass scent which is deffo my favourite. Will have to pick up a bit of this!